Included are Timken bearings and races along with high quality seals and small parts. 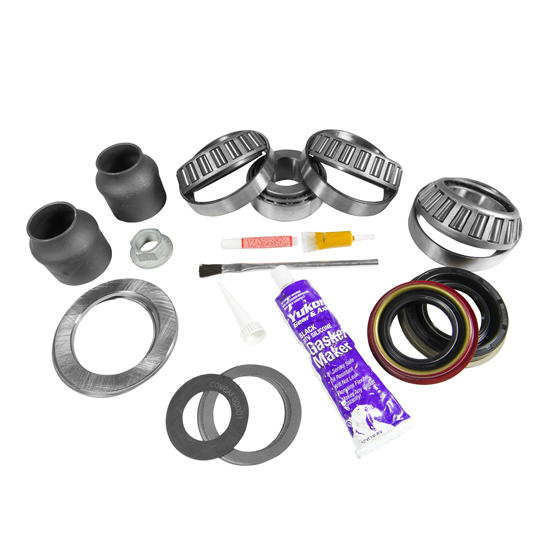 Included in this kit are carrier bearings and races, pinion bearings and races, pinion seal, complete shim kit, pinion nut, thread locker, marking compound with brush, and silicone. Technical Notes: This kit does not contain 9.75IRS CV axle seals (YMSF1005) or needle bearings (YB AX-009) used on '03 and newer Expeditions with 9.75" Independent Rear Suspension.